Top of the mountain views awaits you from this lovely 3-4bd/2.5ba home. Soaring ceilings add to the spacious great room floor plan. Large picture windows throughout let you take in the stunning local views. Light and bright island kitchen showcases granite counters, skylights, beautiful white cabinets, walk in pantry and stainless steel appliances. Cozy family room has outside access and wood burning fireplace. Luxurious master suite features a walk in closet, dual sinks, shower stall, tub and a tranquil sitting room. Spend the summer in the large above ground pool in the backyard. Detached 3-car insulated garage is 24' deep and has a workshop inside prewired for cable and surround sound. 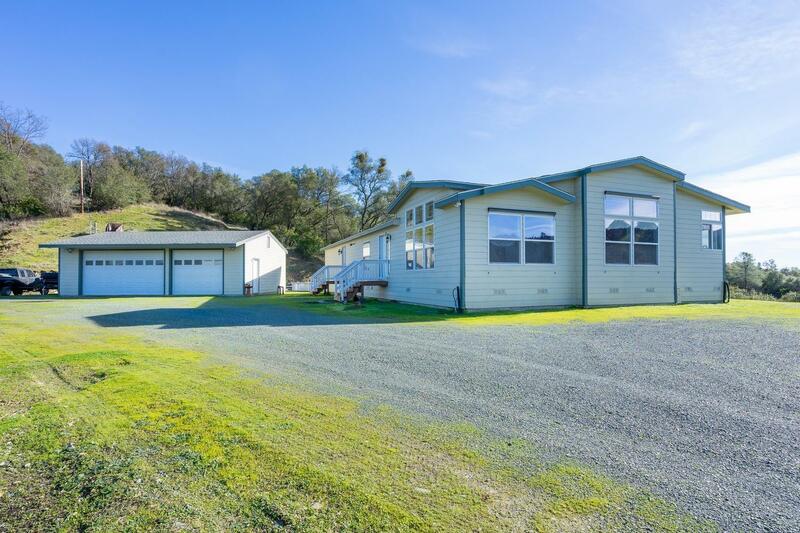 All perfectly placed on 38 private acres ready for your horses, farm animals and toys. Large garden area with partially finished greenhouses, 3 wells, 2 fire hydrant lines, 2, 500 gallon water storage tank, above ground pool w/new liner ready to be installed, RV parking & dump station.